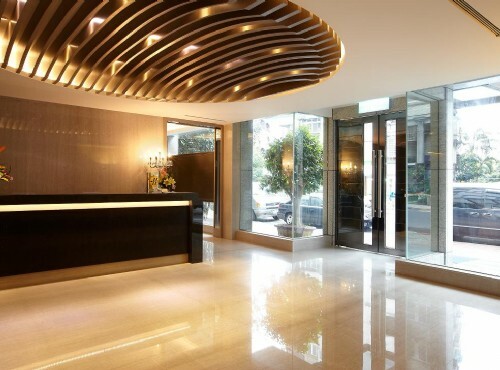 Beautique Hotel | Hotel.com.tw-Provides brief hotel introduction, guest rooms, facilities, location information, mobile booking, and online booking service. Beautique Hotel is a modern Taiwan boutique hotel offering stylish and contemporary accommodations within the exotic and multicultural area of Taipei, Tianmu. Tianmu area offers a fusion of local and international cultures, where you may find western style residences, villas and architectures making it a lively international residential area. With the location in Tianmu area, Beitou Hot Spring, Dayeh Takshimaya Department Store, National Palace Museum, Shilin Night Market, Shin Kong Mitsukoshi Department Store, Tianmu SOGO Department Store, Yangmingshan National Park and many other entertainment venues are accessible in a 10-15 minute ride for your leisure and shopping needs. It only takes a 5 minute drive to the MRT Shipai Station or MRT Mingde Station, which a short MRT ride will link you to the Taipei Main Station, Taipei Bus Station and HSR Taipei Station. The Taiwan Taoyuan International Airport is also reachable with a 70 minute ride for you to connect to your next destination. Furthermore, Beautique Hotel provides shuttle bus to Shipai MRT Station and Taipei Veterans' General Hospital.With handy transportation links and interesting attractions nearby, Beautique hotel assures an efficient Taipei trip for both business and leisure travelers. Opened in March, 2010, Beautique Hotel is a new member of the Beauty Hotels Taipei, which offers superb stylish accommodations in a graceful and tranquil environment. This luxurious Taipei hotel has 30 warmly designed rooms appointed with state-of-art features such as air conditioner, bottled water, hairdryer, king/queen sized bed(s), 37 inch LCD TV with satellites channels, in room safe box, separate shower, sound proof door, telephone, toiletries, complimentary mini bar, high speed internet access, free wireless internet , and imported Italian furniture with warm hues for you to experience a peaceful yet relaxing stay. The hotel also provides a business center with projector and complimentary snacks, a small meeting room accommodating up to 10 people, a well-decorated breakfast hall, as well as laundry/dry cleaning service, complimentary valet parking service, and airport pick-up/drop-off services. Guests may make pick-up/drop-off reservations 1 day in advance. 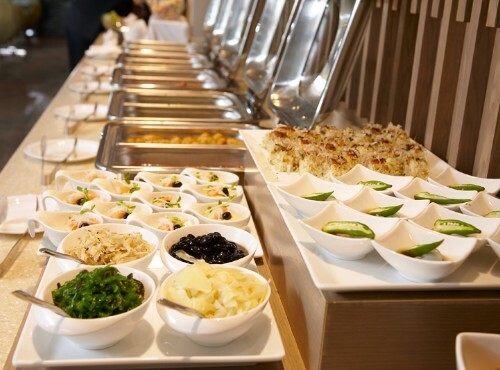 For catering and cuisines, Beautique Hotel provides quality-oriented dishes under selection. 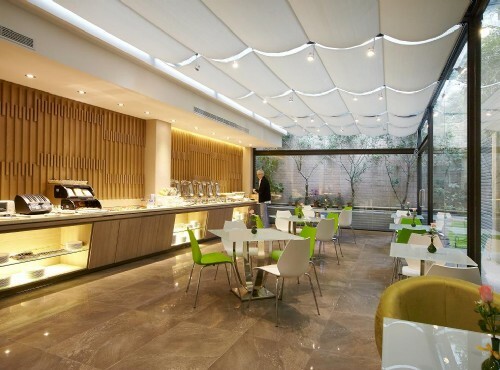 Beautique hotel also offers free breakfast buffet and afternoon tea buffet.Among Taipei hotels, Beautique Hotel is a nice business hotel with cozy accommodations, fine amenities, and outstanding services. 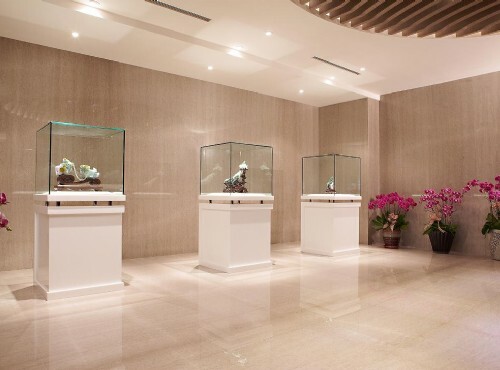 Towered in Tianmu area, Beautique Hotel enjoys a nice location near various boutique stores, exotic restaurants, fine antique stores, outlets, and shops of imported goods. For shopping lovers, they may go to Dayeh Takashimaya Department Store, Eslite Bookstore, SOGO Department Store, and Shinko Mitsukoshi Department Store nearby the hotel. For sports lovers, Tianmu Sports Park, Tianmu Baseball Stadium, and Tianmu Trail are all within 1 km. This Taipei hotel is just a 2 minute drive away from the Taipei American School (TAS) and Taipei Japanese School allowing you to participate in meetings, events and activities easily. Diamond Tony’s Italian Restaurant, Haagen-Daz Ice-cream Shop, Tianmu Weekend Market and a wide selection of restaurants are also only a minute away to fulfill your taste buds. 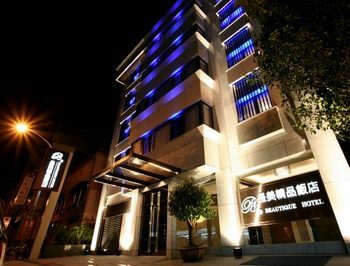 Staying at Beautique Hotel, guests may reach the notable Shilin Night Market (at MRT Jiantan Station) for tasting local delicacies or the Beitou Hot Spring Area (at MRT Xinbeitou Station) for enjoying hot spring baths within a 10-minute MRT ride, as well as take a 10-minute taxi ride to Yangmingshan National Park for enjoying hot spring baths and appreciating natural sceneries. 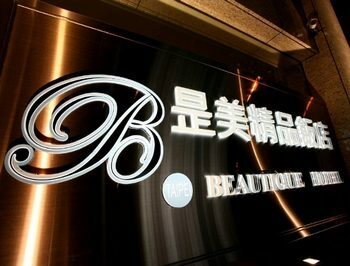 With its excellent location in Tianmu, Beautique Hotel will guests fantastic accommodations for their Taipei travel! Through our online hotel reservation, you can reserve your accommodation at Beautique Hotel safe and secure. Address:No. 14, Lane 38, Tianyu Street, Shilin District, Taipei City, Taiwan, R.O.C.